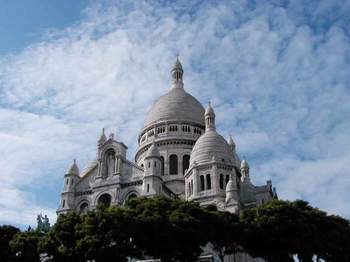 There is nothing quite like going to Montmartre on a Sunday. At the top, near Sacre Coeur (at right), the streets and steps are alive with the activities of people from all corners of the globe. Just a little way down the hill, in any direction, streets are quiet, charming, and full of surprises. You can see by the expression on my face that I was enthusiastic about our outing yesterday. I feel like a kid again on Montmartre, wandering around, looking for interesting things, and finding them. We took the number 80 bus instead of the Métro. This line goes along some of the most glorious avenues of Paris. 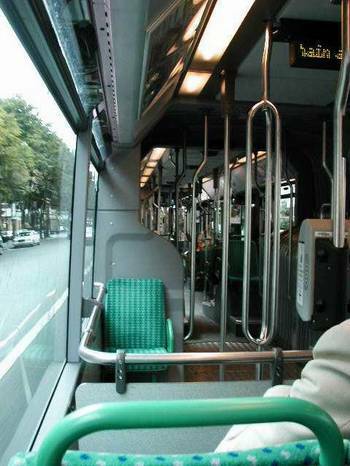 For the cost of one RATP ticket (about 75 or 80 cents), you see a lot. From La Motte Piquet, we crossed the Champ de Mars, always one of our favorite weekend scenes because of all the Parisians as well as tourists who use the park for picnics and enjoying the sun. The bus then goes up Avenue Bosquet, past the American University of Paris, and across the Seine on the modern Pont d'Alma. On the right bank side of this bridge is a small square with a replica of the flame from the statue of liberty. 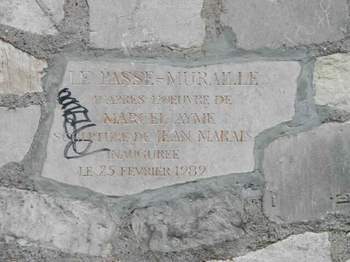 It is here that people leave flowers and poetry for Princess Diana, who died just below there, in a tunnel next to the Seine. So instead the bus goes up Avenue Franklin Roosevelt, which is good because then you get to see another beautiful intersection where the church of St. Augustin is located. This church really caught our eye -- we must go see it soon. From there the bus goes in front of the Gare St. Lazare, which I think is perhaps the best looking train station in Paris, but there is construction going on there now, so it is hard to tell. They're doing something big -- there's a huge hole in the ground in front of the station. 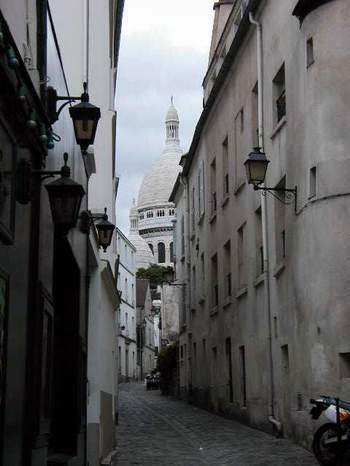 The bus turns northward on the rue de Clichy, and you know you are getting close to Montmartre. 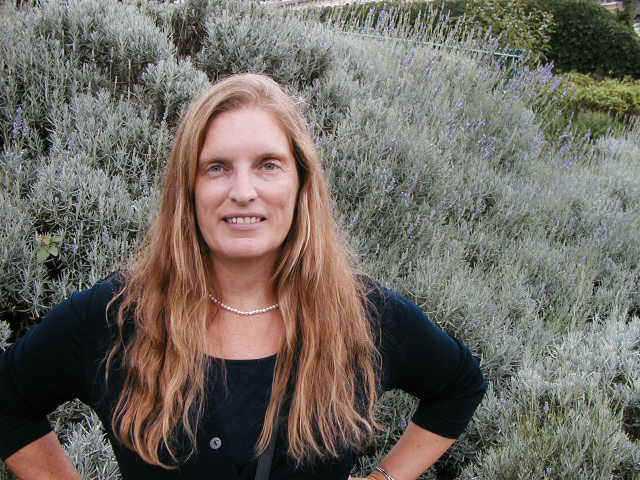 It turns on rue Caulincourt, and you know you are there because you cross directly over the Cimetière du Montmartre, with all the raised tombs and lovely trees. 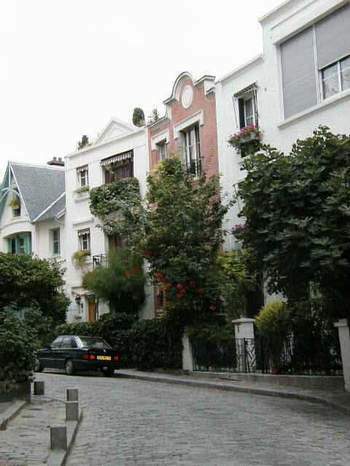 Rue Caulincourt circles around the backside of the hill on Montmartre, which is a good place to disembark because the walk up the hill from there is picturesque, no matter which way you do it. Quiet little streets with surprising views . . . lots of surprises. Of course the camera batteries gave out there, so we got batteries in the touristy area at the top of the hill and went back down, retracing our steps so we could take some of these pictures. The weather was gray at first, but it brightened up later in the early evening. As we walked up Avenue Junot, I noticed a young woman coming from around a corner, holding an expensive camera. So, I looked around the corner. 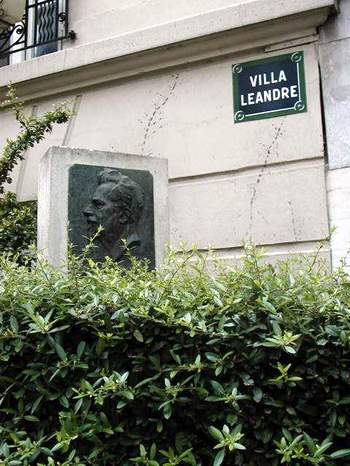 This pretty street, villa Leandre, met our eyes. 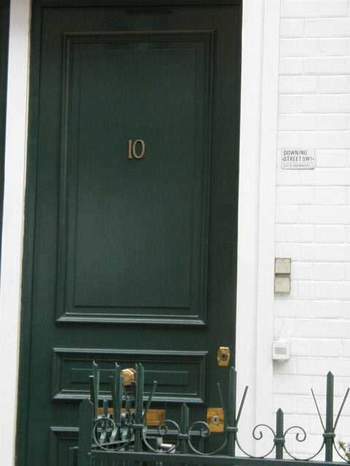 It has cute houses, and the clever person who lives at number 10 put a little "Downing Street" sign next to their front door. 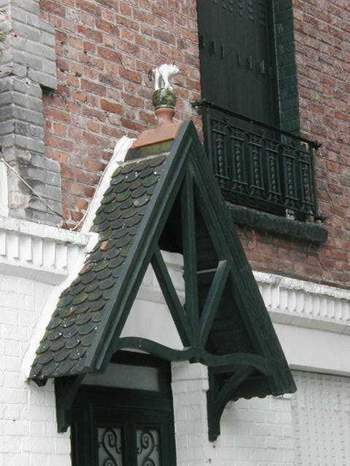 One house had a ceramic cat perched atop its front stoop cover. 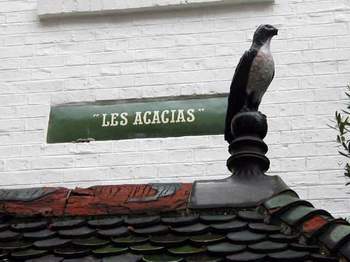 Another, called the Acacias, had a ceramic raptor with a broken beak. The number 80 bus is huge -- the kind that is in two sections, with a flexible part in the middle that enables the long vehicle to turn corners. 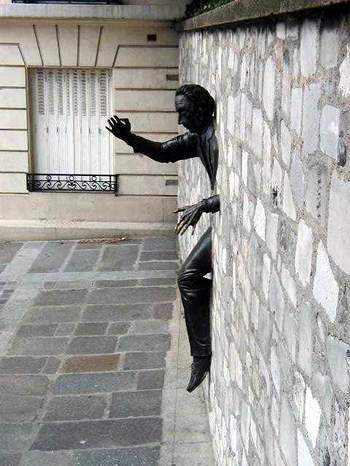 In Place Marcel Ayme on Avenue Junot we saw this modern sculpture was created by Jean Marais as a tribute to his friend, Marcel Ayme, the author of "Le Passe-Muraille."